Mainly for African primary schools - first level reading in English. The text is part of the "Ready...Go" series which features controlled language to give confidence, and illustrations to provide important visual clues to the young reader. The stories featured in the texts focus on experiences relevant to young children and are taken from a wide range of cultural backgrounds. The series is divided into two levels: "Ready" for new readers who have learned the present tenses; and "Go" for readers who are beginning to learn the past and future tenses. 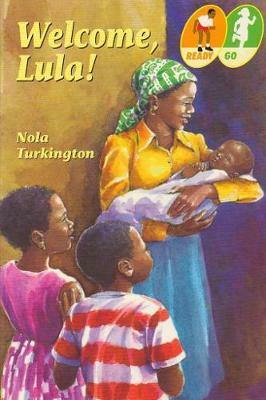 "Welcome, Lula" is part of the "Ready" level of the series.